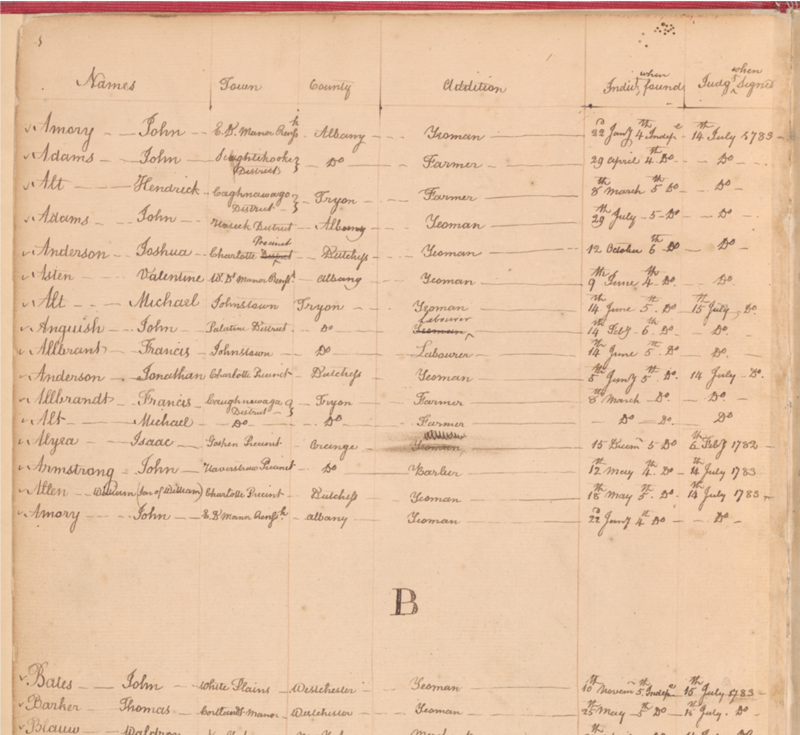 The New York Public Library recently digitized a manuscript List of loyalists against whom judgments were given under the Confiscation Act, which documents judgments made against loyalists between 1780 and 1783. It includes the name of the loyalist, their occupation, town or county of residence, date of indictment, and date of judgment when signed. Nursing Sister Philips WW1 Photo Album: Performace of Three Little Maids from School (the Mikado). 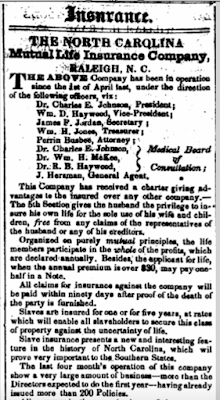 A life insurance company called New York Life opened in Manhattan’s financial district in the spring of 1845. 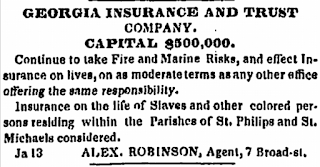 One of the first things the company did to spur sales was to encourage slave owners to take out insurance on their slaves since they were considered valuable assets. Ads in southern newspapers began appearing. Within 3 years, over 500 policies had been sold. 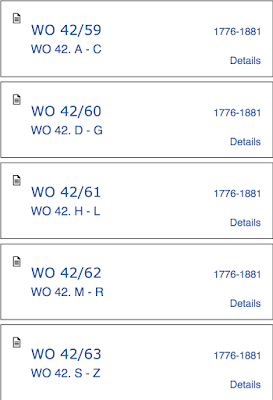 New York Life kept their ledger books and records of these slave life insurance polices. 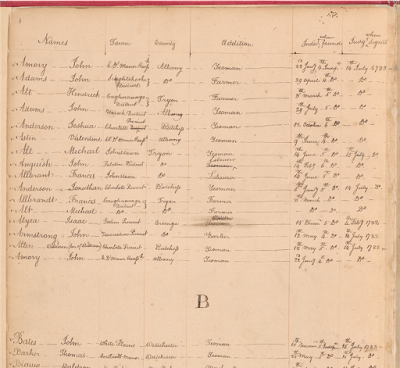 When the books were discovered, company turned over the names of slaves and slaveholders as required by law and donated several of the accounting books to the Schomburg Center for Research in Black Culture, where they are available to the public. The company stored the rest in a private corporate archive. 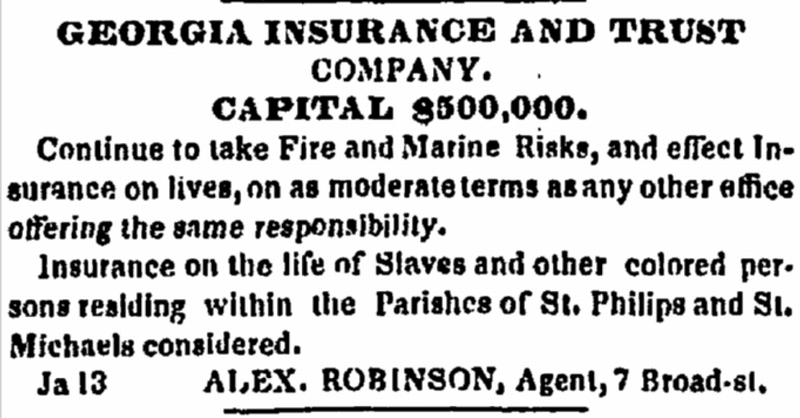 Other life insurance companies also sold policies that covered the lives of slaves but their records have not been found. 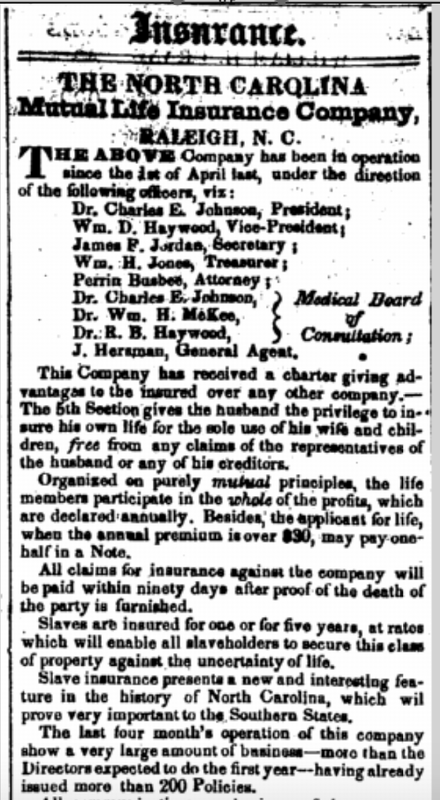 Image 2 Augusta Chronicle (Augusta, Georgia) Tuesday, October 2, 1849. 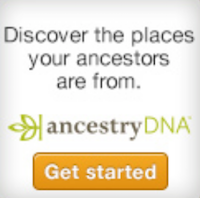 Genealogists love DNA. Many, if not most, of us have tested with more than one DNA company. Why? 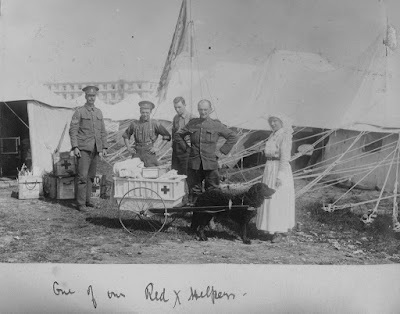 Because DNA not only allows us to learn about our early ethnic origins, it also allows us to match with other genealogists who share a common ancestor. Like crowdsourcing, this permits us to help each other, to share information that may help us in our ancestral quest. 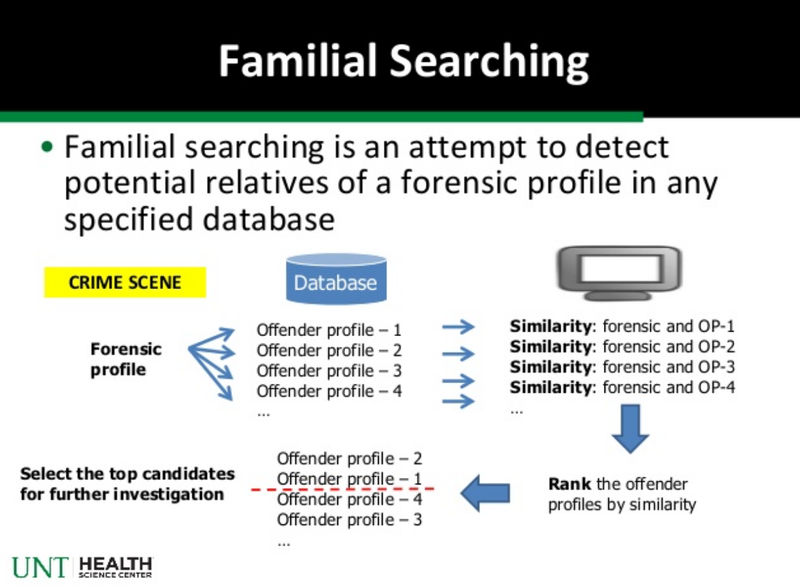 "A familial DNA search is a search by law enforcement in DNA databases for genetic information indicating a relative of a person they seek to identify." 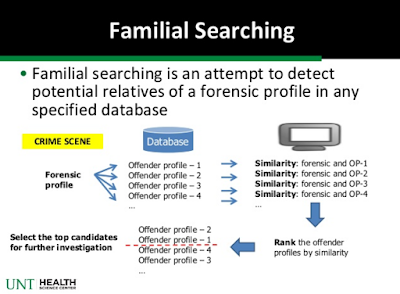 Rockne Harmon, a forensic cold case specialist, defines familial DNA as "a two-phase process to develop investigative leads to potentially identify close biological relatives of the source of a DNA sample that carries an unknown forensic profile." Familial DNA is being used in UK and some states in the USA, and Harmon hopes to apply familial DNA to solve some Canadian cold cases. There are legal obstacles regarding current laws governing Canada’s DNA databank which would have to be studied first. 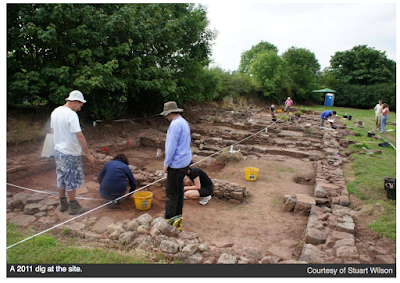 A farmer's field in Wales held the lost city of Trellech but no one knew it. At one point in history Trellech which was settled in the 13th century, was a boomtown, with as many as 10,000 inhabitants. 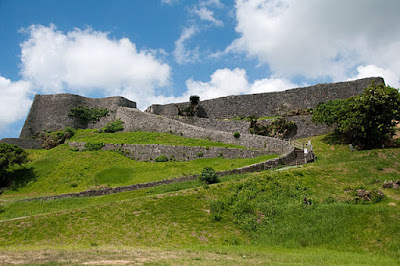 Then it disappeared, destroyed by famine, disease and finally, a 15th century massacre. 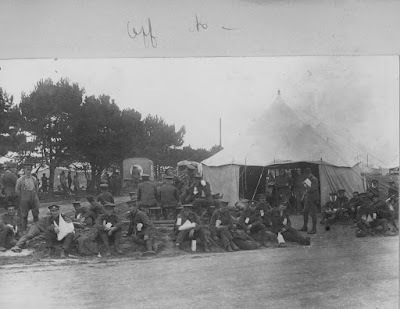 Over time the exact location of Trellech was lost to memory. But Scott Wilson, a member of the local Monmouth Archaeological Society, began to look more closely at pottery shards that kept turning up in molehills. Wilson ended up purchasing a farm where he suspected the lost city might be found and his hunch was proven correct. "Growing up, Lisa Smith shared a room with her grandmother Maurine Chaney Everette in the family’s home in California. Her grandmother, Smith said, was like a mother to her. She was there to cook and bandage scraped knees. 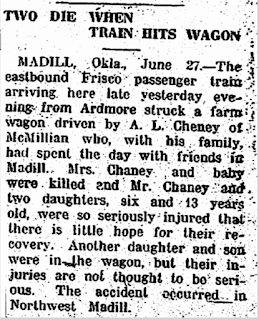 But there were things she rarely talked about — her scar, details of her childhood spent in an orphanage in Oklahoma. When Maurine died in 1992, she took much of her past with her." 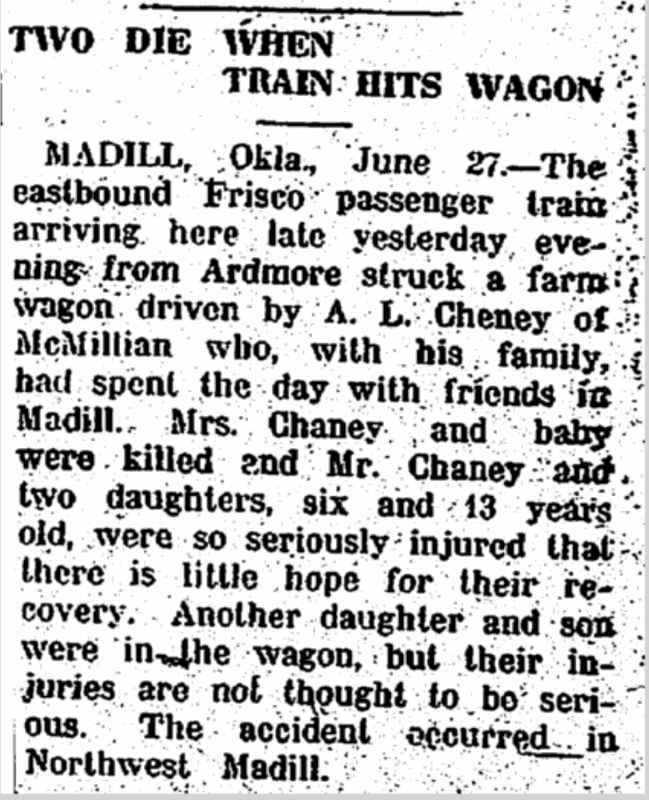 All Lisa knew of her grandmother's past was that Maurine grew up in an orphanage in Oklahoma, she'd been involved in a train accident, and she had a brother. Searching online quickly provided Lisa with clues and then to connections with new-found cousins. 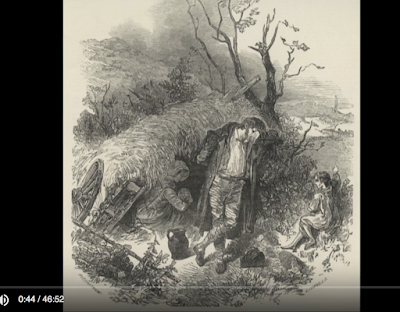 Thanks to Gail Dever I learned about a new Documentary about the Irish and Great Famine on YouTube. This new documentary tells the story of the Irish who fled poverty and the Great Famine of 1847 and traveled to Canada. This was such a tragic time for Ireland. 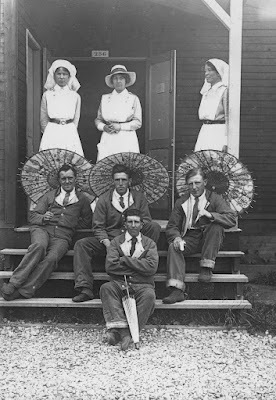 My own McGinnis ancestors fled Ireland to escape starvation when the potato crop failed, and arrived in Canada in the summer of 1846. Gail has written a very complete blog post about this so please read her article using the link above. Since 2013, a team of archeologists has been excavating Katsuren castle in Okinawa, Japan's southernmost prefecture. Recently ten Roman coins were found at the site. According to the scientists an Ottoman coin had inscriptions that dated it to 1687, while the Roman coins appeared to be much older -- from at least 300 to 400 AD. The finding of these coins confirms speculation that the area of Okinawa had trade relations with the rest of Asia. Archeology is similar to genealogy in that even a tiny find can lead to huge revelations and provide more clues for future research. Friday the 13th. Bad luck. Black cats walking in front of you. Touch wood if you say something and don't want it to come true. Bad luck comes in threes. Step on a crack, break your mother's back.... these are some of the many superstitions that have passed down through the ages. But where do they come from? Did our ancestors touch wood as way of protecting themselves from bad things happening? Superstitions often arise because we humans need a way to explain things that don't seem to have an explanation. Superstitions continue even in our enlightened age for one simple reason - they are passed on from generation to generation! Most of us have one or even two superstitions which we may try to keep hidden. Here are a few of our more common superstitions and how they formed. Don't walk under a ladder. One theory holds that this superstition arises from a Christian belief in the Holy Trinity: Since a ladder leaning against a wall forms a triangle, "breaking" that triangle was blasphemous. Black cats walking in front of you. This fear (superstition) may have arisen from fear of witches and witches familiars, most often thought to be black cats. Knock on Wood (Touch wood). This is a very common superstition, believed to ward off evil or bad luck. This may have come from ancient belief in trees having spirits. A good spirit in the wood could protect you from evil. I know my grandmother carried this tradition of wood touching on and I confess so do I! Friday the 13th. Friggatriskaidekaphobics fear Friday the 13th. The fear of Friday the 13th dates back to the late 1800s. 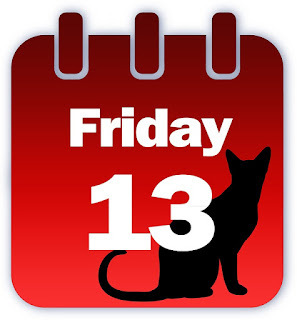 Friday has been unlucky day and 13 has a long history as an unlucky number. Combine the two and it's a double whammy! So to all you Friggatriskaidekaphobics out there, take cover! Today is your worst day. 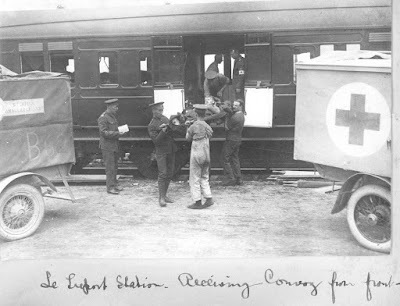 Five volumes of War Office, Class 42 (WO 42) have been digitized and are now free to view on the The National Archives UK website. 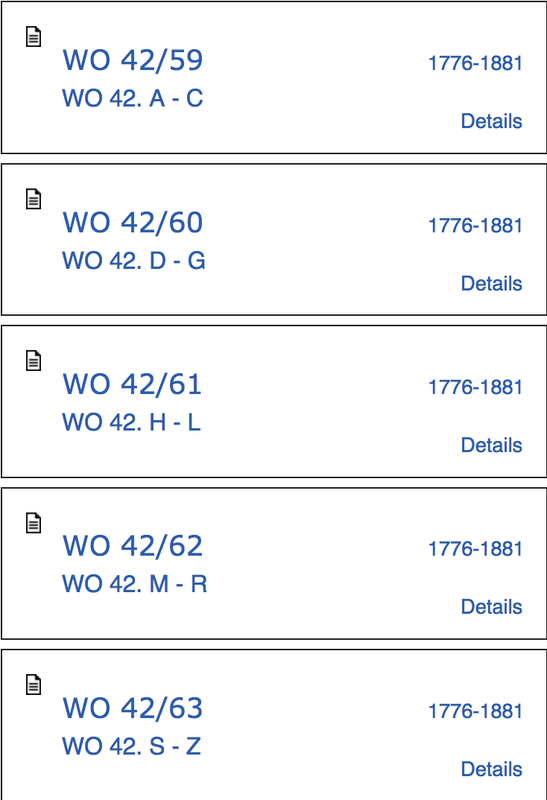 WO 42 covers half pay and widow's pensions in the 19th Century for Provincial and other Loyalist and Canadian officers. The images are freely available. 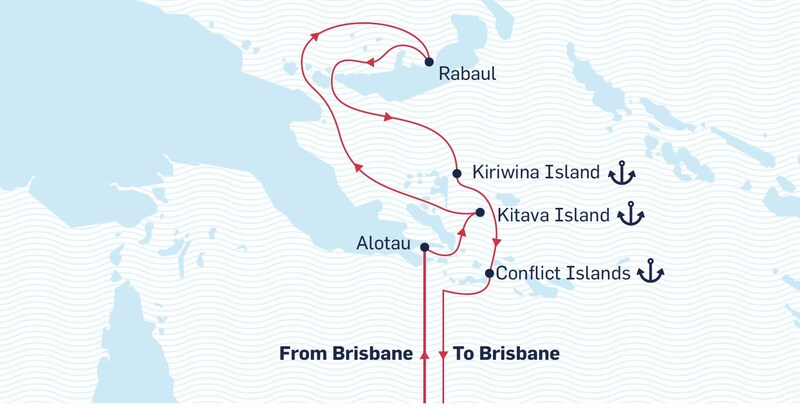 a completely different kind of itinerary – to Papua and New Guinea and and its islands, one of the emerging and exciting new cruise destinations. the Japanese attacked the Australian mainland (including Darwin and Broome by air and Sydney by submarines). 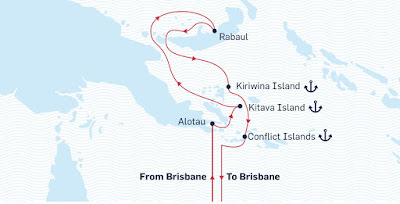 the Japanese attacked New Guinea including Rabaul and Milne Bay (places visited by this cruise) and the Kokoda Trail. of Battle of the Coral Sea, the first time the Japanese were checked in their relentless southward advance. 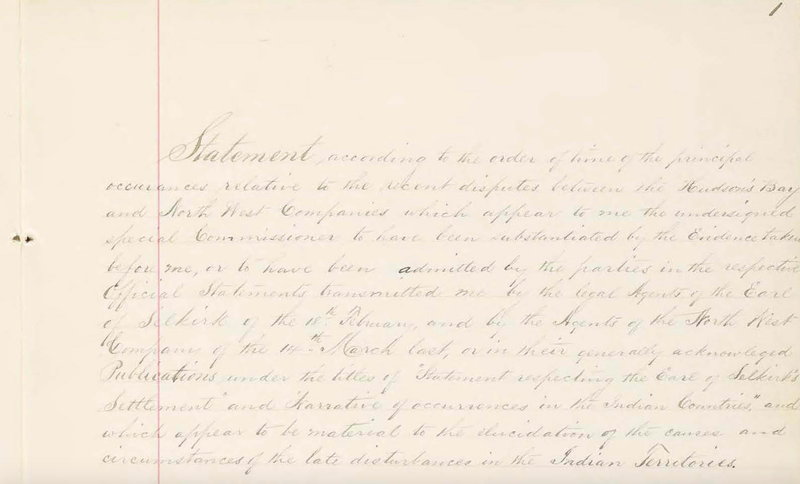 To support this effort, LAC (Library and Archives Canada) started a crowdsourcing project to transcribe the only copy of the 1818 521-page report. According to LAC "the entire report was transcribed within less than a month. In addition to the transcription, every page has tags related to the individuals, dates, locations and specific events recorded during Coltman’s investigation. 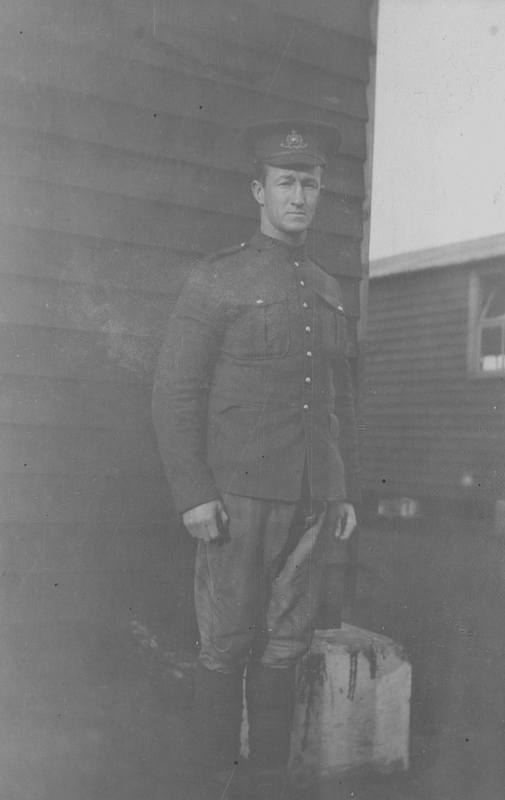 A PDF of Coltman’s report is available in the database and is fully searchable. 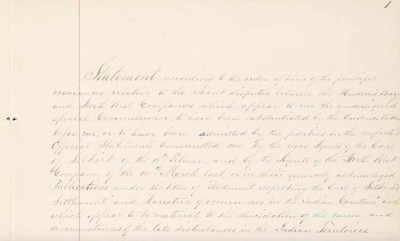 Each entry is accompanied by a link to the corresponding digitized page from the report." Can You Believe 6 Generations All Alive? Some of us might be lucky enough to live long enough to become great-grandparents. But 96 year old Vera Sommerfeld of Lethbridge, Alberta, Candaa, just became a great-great-great-grandmother! That's right, she is the head of 6 generations of living females. The youngest is baby Callie born in October 2016. Her mother, Alisa Marsh, is 20. Grandmother Amanda Cormier is just 39, and Grace Couturier became a great-grandmother at 59. Great-great-grandmother Gwen Shaw is 75. I have family photos of 4 generations living but no more than that. On the left is a photo taken in 1958 of my niece (my brother's daughter), my grandmother, my mother and my brother - 4 generations. 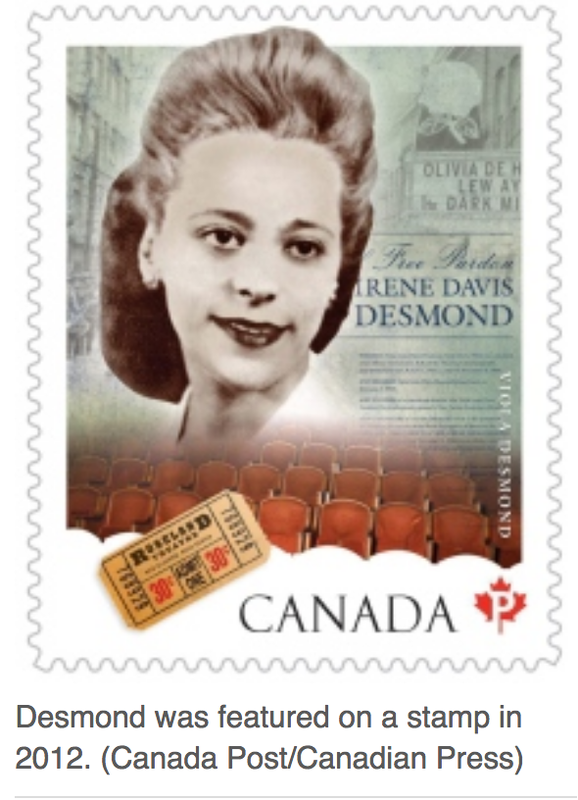 Civil rights pioneer Viola Desmond will be the first Canadian woman to be featured on the ten dollar bill. I doubt most Canadians have ever heard of Viola, although she was featured on a stamp in 2012. 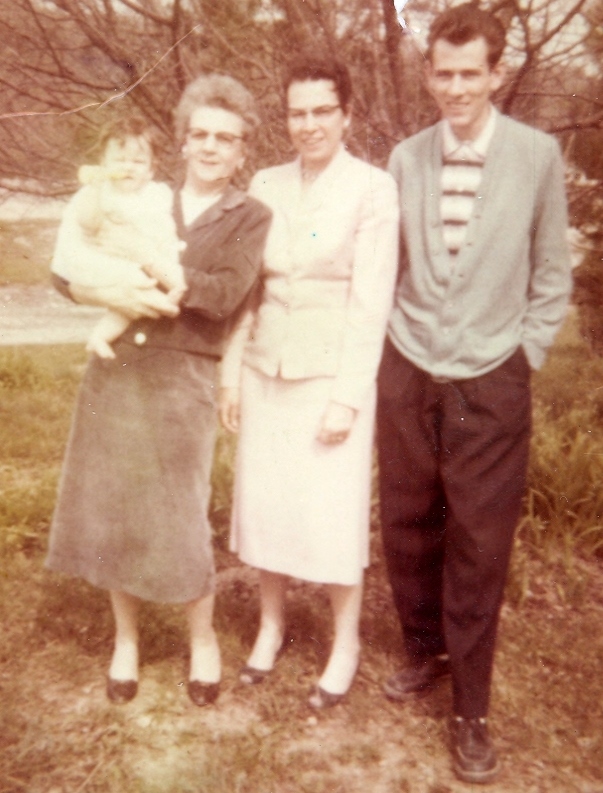 On November 8, 1946, she went to the Roseland Theatre in Nova Scotia to see a movie. Black people could only sit in the balcony of the theatre but Viola sat in the downstairs section which was only for whites. She was removed, taken to jail, and charged with defrauding the Province of a penny because she had not paid the 1 cent extra to sit downstairs. Viola appealed and her court case was the first known legal challenge against racial segregation brought forward by a black woman in Canada.